When someone decides that it will take them too long to master fly fishing, or decides not to spend the money on fly tackle, often the next thought is, "why can't I just fish with flies on my spinning rod?" And yes, you can use flies on your spinning rod. There are several different configurations, but most use a clear plastic float and/or a split shot sinker. With a little experience and experimentation you can have some success, but there are several reasons why you should probably consider fishing with spinners first, before trying to catch trout on flies. Trout are especially wary fish. So if they sense something is, ahem, fishy they won't strike at a lure. Flies on their own don't have enough weight for you to cast them with a spinning rod, so to fish with flies, you'll need to add some weight, either in the form of a plastic float or a split shot sinker. For starters, the plastic float will create an unusual splash that is likely to frighten fish, so if you attempt this it takes a little extra work to get the bait near the trout without spooking the fish. Also, with either a split shot sinker or a plastic float, you are adding a second object that is traveling with your fly. This will provide the fish with a big clue that something is up and may prevent them from taking the fly. Another reason is that an expert fly fisherman (using fly tackle) has the ability to make his fly act like the insect it imitates. Unfortunately, when you use spinning gear to fly fish, you lose this ability. There is usually slack line between the fly and the float or sinker which greatly limits a fisherman's ability to influence motion on a lure. Finally, whenever you are using flies, whether with fly tackle or spinning tackle, you need to know what the fish are feeding on. Certain insects hatch at certain times of year and you need to match your fly with whatever insects are hatching at that time. 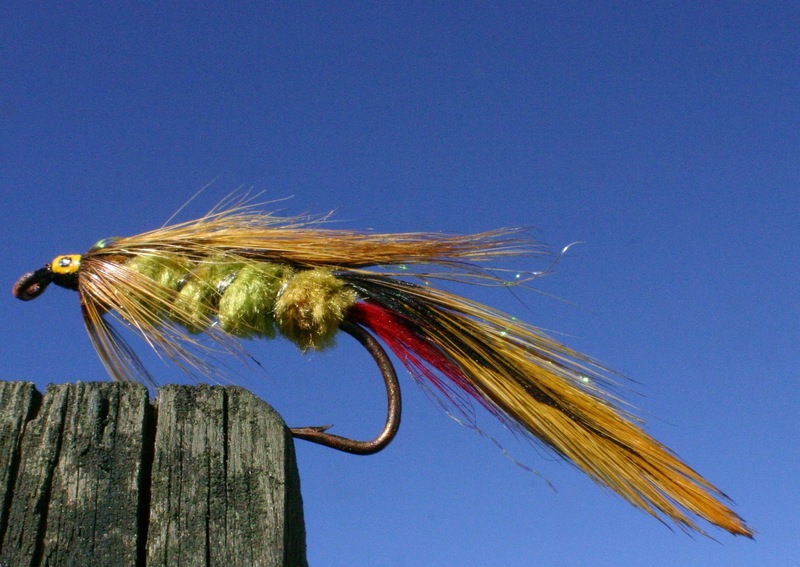 You could use a streamer (a fly that looks like a bait fish), but if you're going to do that you might as well use a spinner or other lure that resembles a minnow. The one exception, I would say is if you want to try a lure from Joe's Flies. These lures have a spinner blade and a weight built in - although you may need to add a small split shot to make a quality cast. These have been successful for me - although they are probably more spinner than fly!